On Labor Day, my mom took a spill and was hospitalized as a result. When we heard that nothing was broken we were all relieved and figured she’d be back at her assisted living apartment in no time. But, as the days progressed, it was clear this was not to be. When I realized it would be a longer hospital stay than originally anticipated, I made plans to fly out and be with her. But, this blog post isn’t really about my mom—although she’s made a remarkable recovery and will be back home early this week. This post, however, is about an amazing woman I know. I met Rachel through a writing group I work with for a ministry website. Rachel is new to the team and I’ve only met her once or twice. Because I had to bail out of a team meeting to go be with my mom, Rachel was made aware of my mom’s accident and my subsequent flight out of town. I thought it was so sweet when Rachel, who hardly knows me, sent an email to ask how I was doing with everything. I sent back a quick email letting her know all that was going, and then every day, for the entire week I was there, I got an email of encouragement from Rachel. I was blown away. Rachel reminded me of God’s love for me and that He loves my mom even more than I do. She reminded me to look for God’s blessings each day. She encouraged me to take short walks and just breathe. It wasn’t as much about Rachel’s words as it was about her consistency in reaching out to me. To be honest, I believe God sent Rachel to encourage me as a way to remind me that he sees me, and knows what I’m going through. The amazing thing to me is that most every time I’ve gone through a hard season, God has sent the most unlikely of people to bless me and support me. This isn’t to say my close friends weren’t supportive; it’s just the unexpected friendship that blew me away! 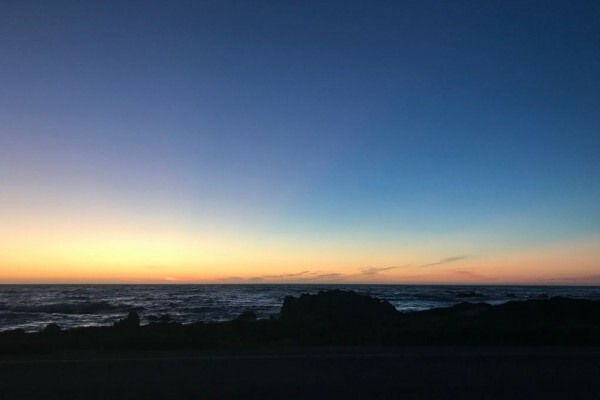 The sunset picture at the top of this blog is one I took on my way home from the hospital one night just before the final rays of light flickered out for the day. I love the ocean and getting to sit and listen to the crashing waves as I viewed this beautiful sunset was a balm to my soul. This entry was posted in Stories of Grace and Faith and tagged encouragement, friendship, God sees me on September 17, 2018 by Nancy.